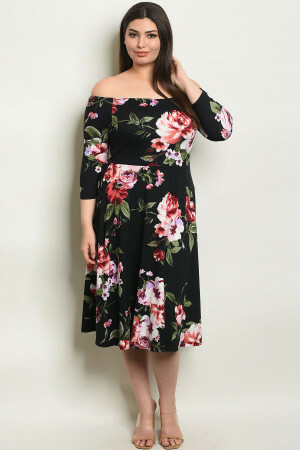 Plus size short sleeve off the shoulder floral dress. Plus size long sleeve V-neck floral tunic dress. Plus size 3/4 sleeve V-neck floral print romper. 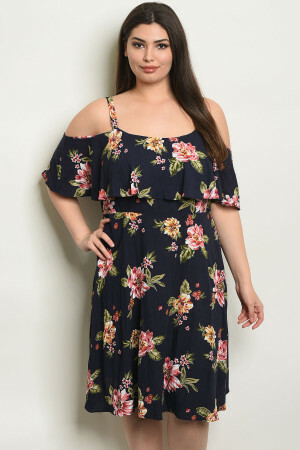 Plus size sleeveless neck tie floral tunic dress.